A mantrap is an access control feature which provides high security measures for a designated area with two or more doors. Mantraps are used in secure areas to effectively detain unauthorized personnel. This design is typical of high security locations such as banks and hospitals. In simple: a mantrap requires personnel to enter through the first door of the assigned location – while the other doors remain closed – before they are granted access at the second door. A mantrap consists of two or more doors – a perimeter door and an interior door closest to the protected area. The perimeter door and the interior door must be equipped with locks, door sensors, and readers. Access is granted either through the reader or through its RTX button, and the door status is given by the defined door contact. Second access cannot be granted from the reader until the previous door is opened and then closed. This security process allows only one single door to be open at a time, so once access has been granted to the first door, the outside door remains locked. The mantrap feature is standard in all versions of the GuardPoint Pro Software. 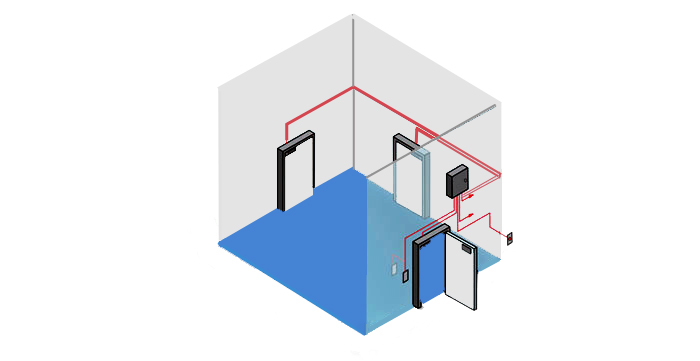 A standard door controller which supports two or more doors is all that is required, no additional hardware needed. 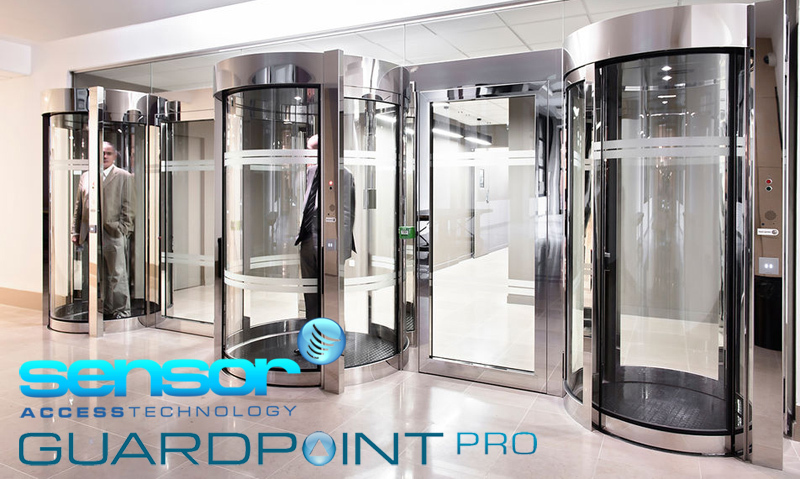 GuardPoint Pro also has the flexibility of harbouring different variations of the standard mantrap. For instance the second door can automatically open after the first door is closed or the second door could require additional acknowledgement from an input before opening.